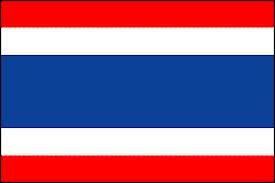 Online job fair for Thailand – are you a Thai student or graduate? Previous post: ‘Volunteering for your career’ fairs, Monday 11 Feb – Friday 15 Feb. The British Council in Thailand has just announced it will be holding its very first Online Job Fair for current Thai students who are studying in the UK and Thai graduates/ alumni back in Thailand/UK. The job fair will be opened from 17-23 February 2013 on a newly developed website. The fair aims to provide a wide range of opportunities for students who are currently studying in the UK to enhance their careers with top companies and organisations by meeting via the LIVE CHAT, lea ving their CV and getting details from the company directly. The companies participating in the Online Job Fair include: Bangkok Bank, Bank of Ayudhya, British Council, Contact Singapore, Kasikorn Bank, Jet Airways, Tesco Lotus, Triumph Motorcycles, Unilever, and more. There will also be a series of seminars, that can be viewed online, on career and professional development, specifically targeting graduates and alumni. I have a job for Thai returning graduates – RA at KMUTNB TGGS – can you help advertise? Is there one for 2014?